On the first night of the 2015 Geography of Hope conference, I met Lauret Savoy while standing in the food line. She was an engaging conversationalist and I was almost sorry as we reached the serving tables. When I learned she was a presenter, I awaited her session eagerly and was not disappointed. At the end of the conference I picked up her edited collection of nature writings by people of color and savored the essays. 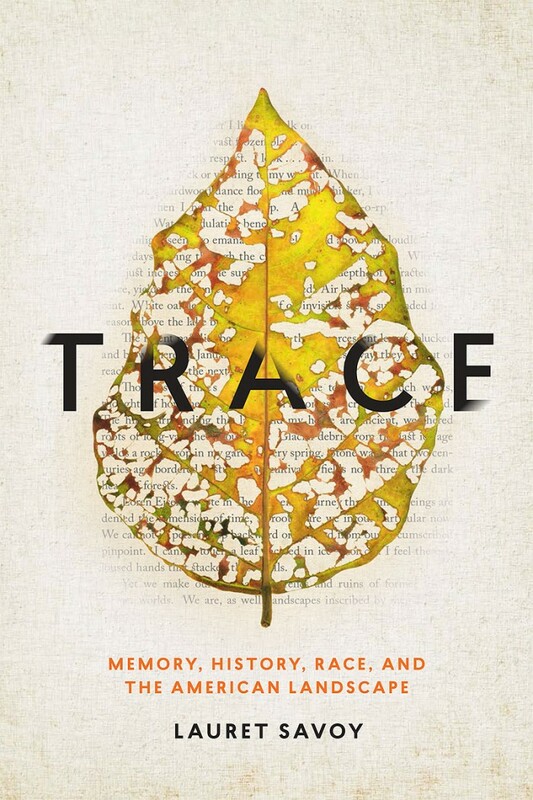 This year a friend sent a blurb about a book she thought might interest me—Trace: Memory, History, Race, and the American Landscape by Lauret Savoy. I immediately ordered it from Reader’s Books, in hardback even, though my policy is usually to wait a year for the paperback edition. 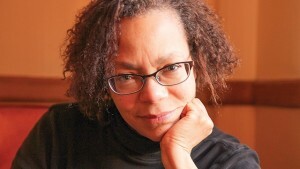 Savoy is a professor of environmental studies and geology. In Traces, history becomes a geology of memory and events. In the American landscape, what is evident on the surface of a given landscape gives only hints to what lies beneath, strata of its geologic history. And the surface itself was thrust up or worn down by ice ages, merging of tectonic plates, retreat of ancient seas, forces we seldom think of. So it is with American history and our own family genealogies. A dear friend once asked me if history is more about forgetting and deletion than about remembering and completion. The past I’ve emerged from is also broken and pitted by gaps left by silences stretched across generations. By losses of language and voice. By human displacement. By immeasurable dimensions of lives compressed and deflated. . . .
Savoy explores childhood memories through their locales—north rim of the Grand Canyon, Lake Superior. She travels to the southwest borderlands of Arizona, with its complex history of indigenous peoples, Spanish, Mexican, and U.S. conquest, constant migration, and her mother’s assignment there during WWII as a black nurse in the segregated medical facilities of Fort Huachuca. Then Washington D.C. , where her father’s people lived for generations. The Piedmont. New England. Geology of the areas braids together with the human history, and she points out how the soils, the rivers, the terrain shaped human interactions in the areas. Through all of this she finds traces of her own history, the forces that shaped her ancestors and finally herself. 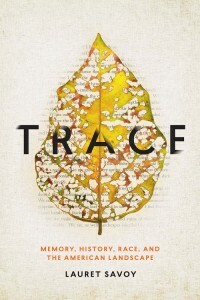 Trace: Memory, History, Race, and the American Landscape, Lauret Savoy. (Counterpoint Press, November 2015) Trace has its own website where you can explore the topics written about it the book and find interesting photos. One Response to "Tracing the Paths of Ancestors in the American Landscape"
e that maybe we can discuss it together sometime.